I’m fairly new to sewing, but started on my journey earlier in the year when I got myself a sewing machine for my birthday. I figured, since I was starting to look into other hobbies to see if I was missing out on anything in life, I might as well see whether or not sewing is something I could get into. Needles to say (pun intended), no matter how much of a difficult artisan art sewing might’ve been a few hundred years ago, today, it’s something practically anyone with patience can get into and enjoy, and I’ve had a good few months to learn a lot about it, and test out a few different machines to see what I should stick with. 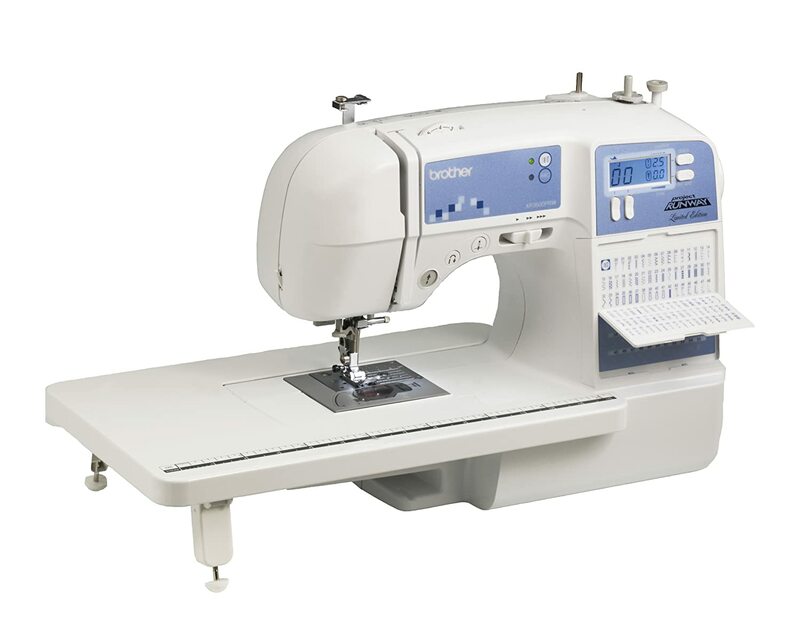 Thus began my journey to find the best sewing machine for beginners. I’ve tried a couple; from a decently old Elna SU my sister found on the flea market, to the more expensive Brother Innov-is, and I’ve even played around with the embroidery-only Brother PE770 –I’m, frankly speaking, horrible when it comes to making my own embroidery. 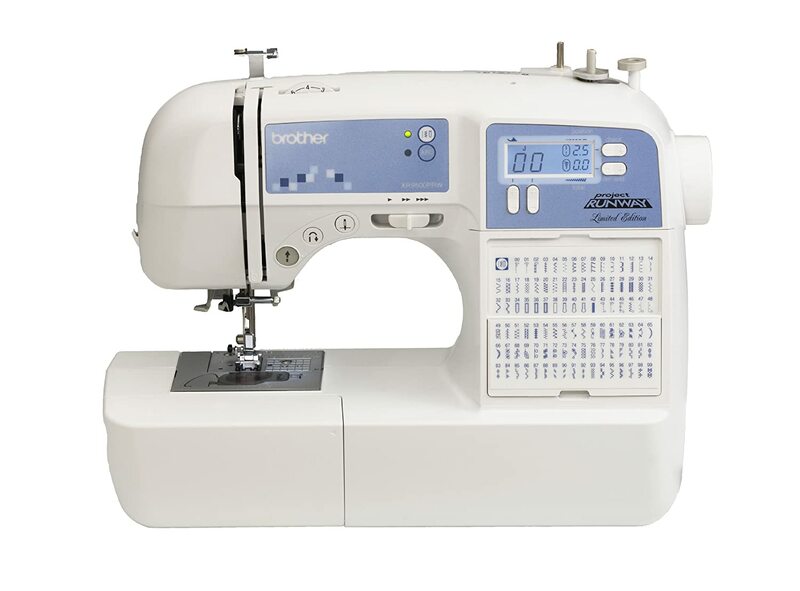 But, for now, I’ll be writing about a machine that stuck with me for quite some time – one I’d comfortably describe as the best sewing machine for beginners that I’ve found: the Brother X9500PRW. The Brother X9500PRW is a comfortable machine, to begin with. It’s pretty light, weighing just about 10 pounds, and it’s fairly small. LCD backlit computer screen, compatible with Brother’s universal sewing machine case, and it’s got a lot of built-in stitches and features; had I started with this machine, I would’ve probably stuck with it for a good while. It sews harder cloths like denim, but also works just fine with softer upholstery fabrics, or even something as sheer as silk. Then again, it’s very very slow – my sister is a bit more advanced of a seamstress, so she knows just how intensive things can get in an actual industrial setting, and she noted that it’s quite easy to tell that this is a machine built of hobbyists or intermediate seamstresses. Nonetheless, ease-of-use is the first thing that came to mind when I gave the X9500PRW a go. Drop in bobbins instead of manual pulling makes sewing a bunch faster than it was with older machines I’ve tried. The presser feet can be popped off and switched easily, so you don’t have to go through the whole unscrew/screw process. It’s pretty quiet, too – although I did pick this up soon after working with a much older Singer machine, so it might just be the age difference. This is the best sewing machine for beginners. No need for pulling the thread with a mechanic needle threader, it’s got custom speeds to make sure you get used to sewing before you go fast – and if you’re prone to sewing too fast, it ensures you don’t mess your project up by changing tempo. The bobbins are easy to operate, and the LCD screen is a handy reminder tool, even telling you when you need to change feet. You won’t need it once you get used to sewing, but for starters, it’s pretty handy. It isn’t a fast machine, so you’ll have to endure slow speeds once you’re used to it, and would like to work faster. That having been said, it’s also light – which means it can move around a bit if you’re not holding it down by the plate. The plate itself is also difficult to remove in case you need to do some quick troubleshooting – but other than that, it’s a good, solid machine. The Brother X9500PRW is easy to use, lightweight, and even comes with electronic aid. If you’re a starting seamstress, or even just someone who wanted to dabble in sewing like me, it’ll be your best friend for quite some while. For smaller projects, like fixing up or renewing your clothes a bit, or for stitching up some upholstery fabric, it’s ideal. It gets harder to use when you’re attempting something really, really big, or if you’re used to industrial levels of speed – otherwise, it’s the best sewing machine for beginners.